This painting conveys a very simple formula for happiness! Who has not felt happy while eating a cookie? Without a doubt, this painting took me longer than any other I’ve done. It had a high degree of difficulty and was a daily challenge to my willpower. 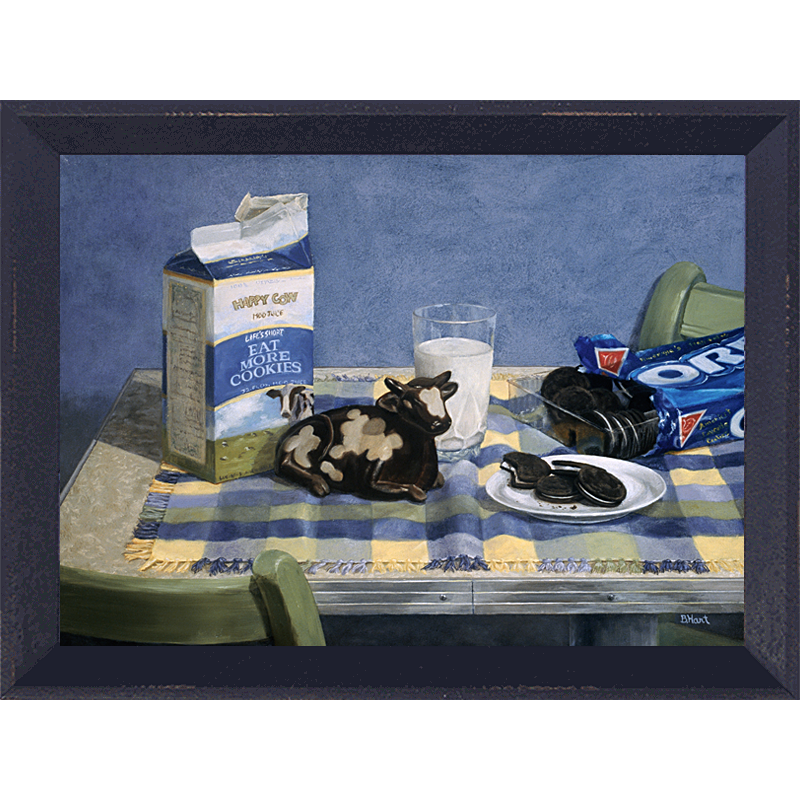 That said, the Oreo package was empty BEFORE the painting was finished. Materials: Original oil on stretched linen. Black distressed wooden frame. Size: Canvas 17×23″. Framed 20×26″.